In the absence of actual shopping (with the exception of one Lush binge, my last shopping trip was in December), my shopping list has been piling up! These are the perfume and non-perfume items that I’m currently lusting after. What’s on your shopping list? Please feel free to share your own list with us in the comments! 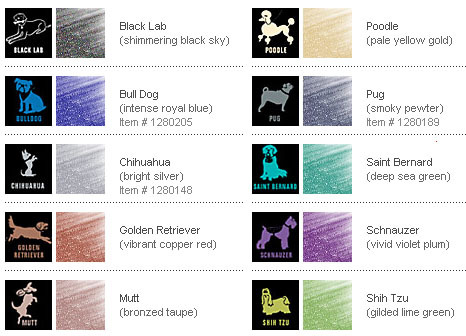 These cream eye shadows are named after dog breeds, and if you think for one minute that I am above this sort of gimmick, you’ve been huffing too much Fracas. I already own Pug (my very favorite kind of dog, and the most unique color, in my opinion), and am saving up for Mutt. I’ve been looking for the perfect coffee fragrance for years and years now. Comptoir Sud Pacifique Vanille Mokha was too sweet; Bond No. 9 New Haarlem wasn’t sweet enough. Jo Malone Black Vetyver Cafe is very close, but it sadly disappears from my skin within 20 minutes. 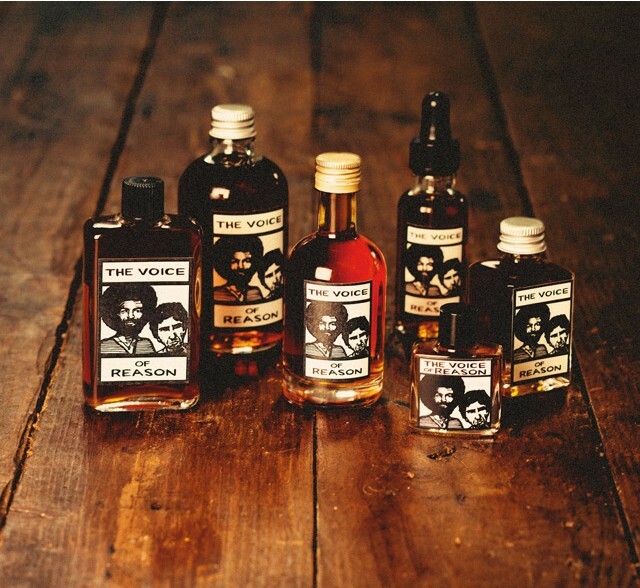 Voice of Reason, which claims to smell like “espresso, French cigarettes, and whiskey”, sounds like a worthy contender. I’m not usually a big fan of Peter Pan collars, but I can’t even explain to you how cute this dress looks in person. As an aside, this model’s legs are taller than my entire body. 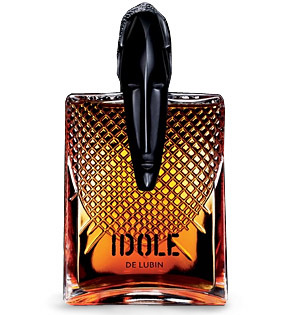 Last week I had dinner with the very funny and hugely knowledgeable Judith of The Unseen Censer, who spontaneously decided to buy a bottle of Idole after smelling it on me. It’s that good, y’all. This is the warm, spicy, saffron-y scent of my dreams. The EDP is richer and woodier, but it somehow feels less “me”. 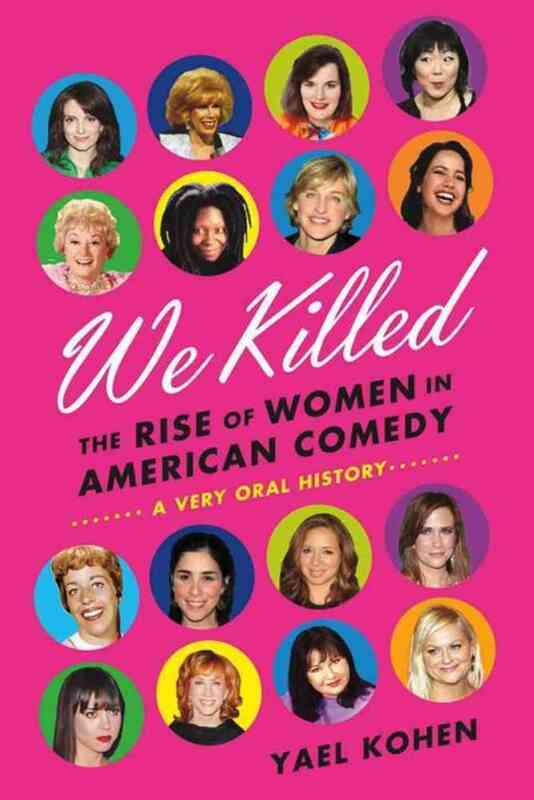 I am deeply invested in the idea that women can be funny, because otherwise I’m just plain obnoxious. The Dandy’s list is so extensive he has had to purchase a suede backed ledger to keep it in. OMG! The ever expanding LIST! I have a couple that just have to wait a while: Un Voix Noir is beyond fabulous, Dries Van Notten, Vega, Tokyo Bloom and Cuir de Russie Parfum. I need to try the Dries Van Notten SO BAD, Portia. When Robin wrote in her NST review “If I were to have a signature scent, it would be something like this”, something in me SNAPPED. Yep, you need to try it. Quite Fab U Lous. VEGA is all you need. I don’t have a shopping list right now because I’ve pretty much bought all those things I was lusting after. As in, I’ve expended my shopping funds for the time being. So I’ll just share those. I wore all of the above to the theatre this past weekend. So even though I’m not allowing myself to buy anything else for a bit, these purchases were well worth it. WHOA! That is a HOT dress! I really miss living close to a Bloomingdale’s- Nordstrom definitely has the better beauty department, but Bloomie’s has the edge for clothes. I love those eye shadows! Y NO BEAGLE OR RAT TERRIER THO?!?!?! OK, I’ll grant them no rat terrier since ratties aren’t even an “official” breed. I guess I’d have to go with the Mutt- looks cool! Voice of Reason, on the very very very very brief sniff I gave it (I was in Lush with the preschooler and was freaking out that she was going to break something), smelled more like barbeque sauce to me than coffee. I’ll be curious to see your taken on it! You’re so right, there’s no excuse to not have a Beagle shade. I’d like to see a Corgi, too! Candy Perfume Boy also mentioned the BBQ sauce effect. I’m a little nervous about it, even though I do enjoy many “meaty” birch tar fragrances. Delurking from my seaweed-festooned undersea hideaway to say Idole EDT is possibly one of the best smells ever! I find it is sometimes a little light and disappearing. Maybe the only solution is to WARE MOAR!! I know I certainly did, because I managed to squirt my way through nearly a whole bottle in three months. I’ll definitely get another bottle as soon as ever I can get away from the rigours of the seabed. I always enjoy your writing.. It really is a lot of fun, so thankyou for doing it. Right now there’s very little on my shopping list, but I have to remember that mom, dad, brother and S.O. all have their B-day in the next 20 days. I’ll be shopping for others. My real goal is to actually use some of the new stuff that I bought in the past 2 months. I want Corcovado Eyeshadow Pencilfrom NARS, at least one Jo Malone from the Sugar & Spice collection (not sure yet which one) and a <a href="http://www.anntaylor.com/ann/product/AT-Accessories/AT-View-All/Floral-Persuasion-Luxe-Wool-Scarf/300646?colorExplode=false&skuId=13026264&catid=cata000022&productPageType=fullPriceProducts&defaultColor=6600&quot; wool scarf from Ann Taylor. Let’s try again, now with properly formatted tags – you can delete the previous comment. I want Corcovado Eyeshadow Pencilfrom NARS, at least one Jo Malone from the Sugar & Spice collection (not sure yet which one) and a wool scarf from Ann Taylor. Your list was most entertaining! I recently bought a blouse with flittersniffer butterflies on it and a Peter Pan collar. I had immediate buyer’s remorse but only because I figured I am probably too old to wear it. It would look great on you! Then a friend of mine is lusting after Voice of Reason, so that is a coincidence. A bit hard to come by, though. As for me, I would like Burberry Lip Mist in Copper (I think that is right), and I am currently experimenting very tentatively with coloured eyeliner pencils. Brave, I know! They may go the way of the Peter Pan collar but it is too early to call. I have been making myself feel better by Buying All The Things. Not a good strategy, but at least it’s a STRATEGY. This DID INDEED include a bottle of Idole (I got the EDP). 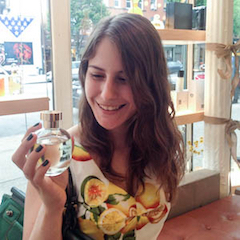 I’d sampled it and put it on my “maybe” list but it did indeed smell ravishing on you. Sold and sold.